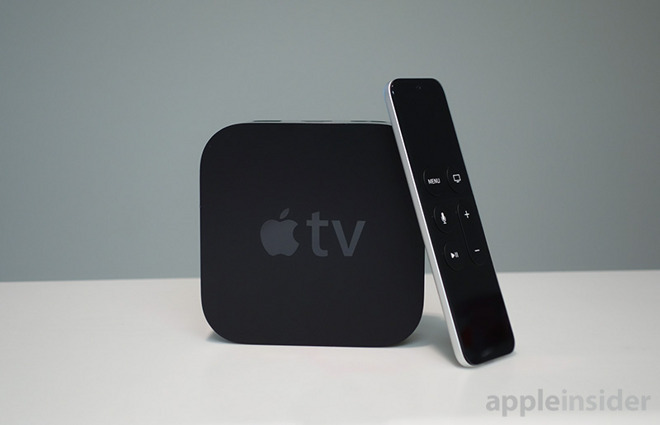 In conjunction with the full releases of iOS 10.2 and watchOS 3.1.1, Apple has made available the full tvOS 10.1 release for the fourth-generation Apple TV, giving users of the set-top box access to the new "TV" app, as well as single sign-on support for cable subscribers. The update is now available to all fourth-generation Apple TVs through Software Update in the native Settings app. It can also be installed through a connection to iTunes with a USB-A to USB-C cable. The previous 10.1 betas, and this release, now includes the previously-announced single sign-on. The feature lets people enter their cable, satellite, or streaming TV credentials once, and have them automatically entered into third-party apps that require subscription account information. Early AppleInsider testing shows fewer instances of the Apple TV "forgetting" the password, requiring user re-entry. Also included with tvOS 10.1, is Apple's new "TV" app. The app is designed with discovery in mind, making it easier for users to find content across providers, including the user's own library of media. Results from Siri searches now allow users to jump straight into live streams, as long as the supporting apps are installed. Apple has not as of yet provided a change list for the system software update.